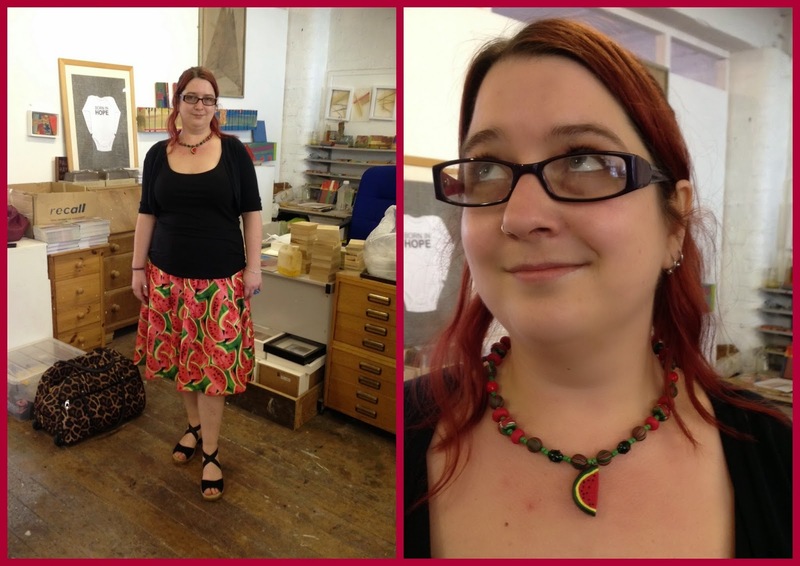 So here is the lovely Jen with her new Watermelon necklace which I made to match her new skirt made by our friend, Lindsey James of Violet Flamingo. 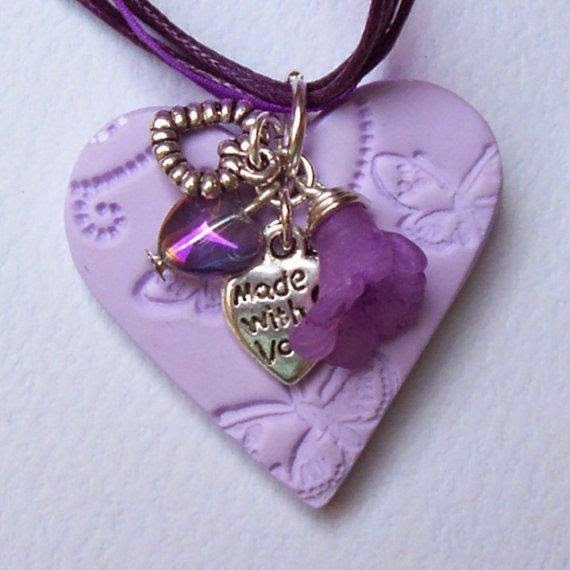 If you are interested in commissioning me to make a piece of jewellery, please email me at beadsfromtheart@hotmail.co.uk to discuss your needs. I currently have this floral offering in my Etsy Shop! 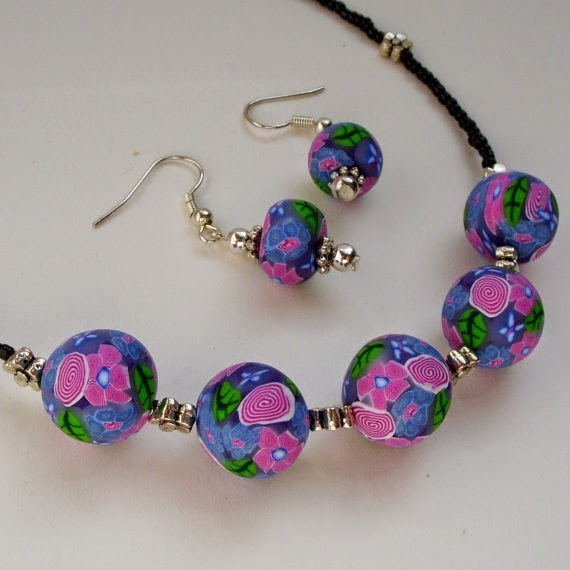 Handcrafted polymer clay floral art beads with Tibetan silver daisy spacers and tiny black seed beads, fastened with a small toggle clasp. 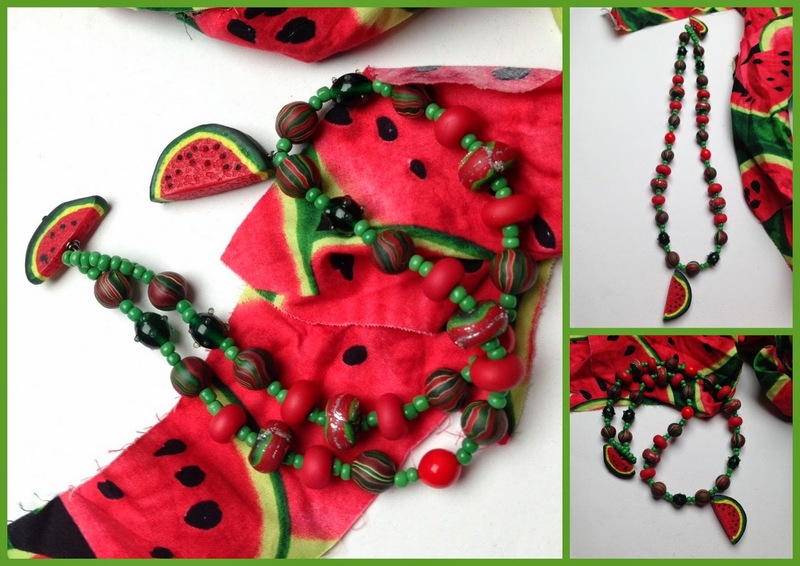 The necklace is accompanied with earrings made with matching polymer clay disc beads and Tibetan silver spacer bead dangling from silver plated kidney wires. Beautifully packaged within a Kraft gift box. and last night was no exception and I feel truly inspired!!! busy today and tomorrow, so putting my dreamy thoughts in to action will have to wait! So....what did YOU dream about last night??? Comments below! And here's a photo of a truly inspired vision that became one of my best sellers a few years ago. so watch this space for more details!